George Michael Steinbrenner III is the final Meet A Prospect post that we will do for Prospects Month on The Greedy Pinstripes. The Boss was born on July 4, 1930 and passed to hang with the baseball Gods on July 13, 2010. George bought the New York Yankees organization in 1973 and held the ownership for 37 years until his death and subsequent transfer of ownership to his sons Hank and Hal, who we also showcased in our Meet A Prospect series this week. George would see the Yankees win seven World Series championships and 11 American League pennants in his tenure as the Yankees owner, the longest tenure in club history. George was not always the "hands on" owner, fiery figure head, and one to meddle in every day operations, drive up players prices, and investigate free agents before signing them. George was not always the one to hire, fire, and re-hire managers at an alarming rate. Let's meet George Steinbrenner before he was known as "The Boss." George was born in Bay Village, Ohio as the only son of Rita Haley Steinbrenner and Henry George Steinbrenner II. His mother was an Irish immigrant who had her name changed from O'Haley to Haley and his father was of German descent who eventually made his name in the freight shipping business. George III was named after his paternal grandfather, George Michael Steinbrenner II, and had two younger sisters growing up, Susan and Judy. George spent his college years at the Culver Military Academy starting in 1944 and graduated in 1948 only to go back to college to get his B.A. from Williams College in Massachusetts in 1952. 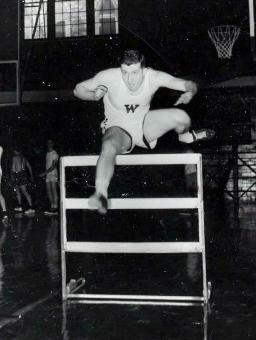 George was quite the social butterfly and athlete in school with highlights such as being a member of the Delta Kappa Epsilon fraternity, being a very successful hurdler on the varsity track and field team, played piano in the band, played halfback on the football team his senior year, and served as the field editor for The Williams Record. After college George immediately joined the United States Air Force and was commissioned as a second lieutenant. George would have an honorable discharge in 1954 and would go back to school to complete his masters degree in physical education at Ohio State University. While at Ohio State George would be the coaches assistant in the year the Ohio State Buckeyes would go undefeated and win the Rose Bowl and National Championship in 1954.George would meet his soon to be wife, Elizabeth Joan Zieg, in Columbus, Ohio in 1956 and would marry and have two sons, Hank and Hal Steinbrenner. They also had two daughters Jessica Steinbrenner and Jennifer Steinbrenner Swindal. In 1957 Steinbrenner would join the Kinsman Marine Transit Company, a company his great grandfather Henry purchased in 1901, and would be rebuilt and revitalized before George would purchase the company a few years later from his family. George would later buy the American Shipbuilding Company and see annual revenue sales soar over $100,000,000. Steinbrenner did not initially use that new found wealth to get into baseball though because his first sports team investment was the Cleveland Pipers of the American Basketball League against the advice of his father. 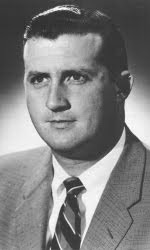 The Pipers would hire the first African American coach in professional basketball in John McClendon and would see an ABL Championship in the 1961-1962 season before the ABL folded in 1962. Steinbrenner paid his debts and took his talents to Broadway briefly in a 1967 play named The Ninety Day Mistress, the 1974 Tony Award nominated Seesaw, and the 1988 Legs Diamond play. In 1971 George Steinbrenner attempted to buy the Cleveland Indians and failed but would buy the New York Yankees from CBS, with help from investors, in January of 1973. The original sale of the organization was $10,000,000 but the deal included two parking garages that CBS bought back after the deal was final for $1,200,000 making the final total for George and company coming in at $8,800,000. George wasted no time causing controversy and hiring and firing personnel as he went through 20 managers in his first 23 seasons including hiring and firing Billy Martin five times and went through 11 general managers in 30 seasons. George did win two World Series in 1977 and 1978 behind Billy Martin and Reggie Jackson though while the Bronx was Burning. George also ruled with an iron fist creating the policy that all Yankees players, managers, and male executives were forbidden to have any facial hair other than a mustache and Yankees players hair was not allowed to touch the collar of the shirt, which is still the Yankees policy today. George and his policy is the reason that Goose Gossage grew, and still has to this day, the extreme mustache that he has now after George forced Gossage to shave the beard that he was growing in 1983. Don Mattingly was even benched in 1991 after refusing to cut his mullet hair cut that did not fall within Yankees policy which causes a media backlash. Mattingly would not learn from the incident though as he would be back in the Yankees facial hair spotlight as he started to grow a goatee in 1995 and saw Mattingly trim it to just a mustache. George was reinstated back into baseball in time for the 1993 season and it was just in time for the 1994 MLB strike and the beginning of a Yankees dynasty. George was willing to leave the day to day operations to Gene Michael these days and even got behind a Yankees farm system and letting players like Bernie Williams, Derek Jeter, Mariano Rivera, Andy Pettitte, and Jorge Posada to develop rather than be traded for veteran players. George saw this new found patience pay off as the Yankees were in the AL East chase all the way until September before losing the title to the Toronto Blue Jays. The Yankees were also leading the AL East before the 1994 strike wiped all the hard work away, the season, and for the second time ever the World Series. Obviously anyone reading this knows the rest as we saw the Yankees make the playoffs for the first time since 1981 when they were the first Wild Card winner in the 1995 season and saw the Yankees win World Series titles in 1996, 1998, 1999, 2000, and 2009. The Yankees made the playoffs ever year from 1995 - 2009 except for the 2008 season, Joe Girardi's first season, and saw World Series losses in the 2001 and 2003 Fall Classics. George would officially retire from being the Yankees principal owner and would transfer the day to day operations to his sons, Hank and Hal, in 2006. From 2006 until his eventual death in 2010 George spent most of his time at his home in Tampa, Florida while rarely showing his face at the stadium or giving interviews and sound bites. George did make a special appearance at the 78th Annual MLB All Star Game which was held in Yankees Stadium in it's final season in 2008 in the Bronx. George was wearing dark sunglasses and walked slowly onto the field with the help of many people helping him walk. George would get one last ring in 2009 and was presented with the ring in person by Derek Jeter and manager Joe Girardi on April 13, 2010 in his stadium suite leaving, according to reports, Steinbrenner almost speechless. Steinbrenner, if anyone, deserved this private ceremony as he built the Yankees brand to the first sports team to have a net worth over $1,000,000,000 plus having a $1,200,000,000 television network aptly named the Yankees Entertainment and Sports network, or the YES Network. George died on July 13, 2010, the same day as the 81st annual All Star Game, at Saint Joseph's Hospital in Tampa due to a heart attack. His death came just nine days after his 80th birthday and just two days after long time Yankees announcer Bob Shepard passed away. The Yankees would wear a patch honoring Steinbrenner and Shepard from July 14th until the end of the 2010 season to commemorate these two Yankees legends. The Steinbrenner family also added a monument in Monument Park to honor their late family member in September of 2010 to honor George. George was buried at Trinity Memorial Gardens in Trinity, Florida. 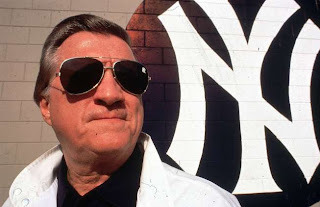 The Boss, Manager George, George Steinbrenner, whatever you call him or known him as you know he will never be forgotten, replaced, or emulated. May George rest in peace now. We want to take this time to honor and thank George Steinbrenner for everything he did as the owner of the Yankees. If it were not for Steinbrenner the Yankees would not be who they are today, both in class and in championships, and we would not be the site that we are today. The Yankees would not be the financial super power they are today, would not be as respected league wide as they are today, and may have went by the wayside in the 70's and 80's if it were not for the boss. Thank you George and I hope you are reading this from up in Heaven, we love you!